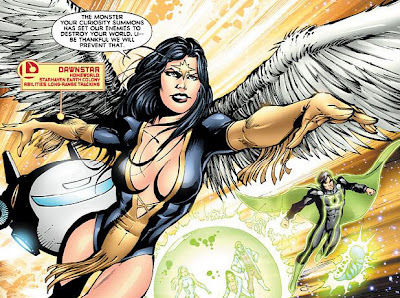 (Sigh) Who didn't want to be a Legionnaire growing up, if not just to fly through space alongside Dawnstar? Those lucky sods at Newsarama have landed an exclusive preview of Legion of Super-Heroes #15 - the final issue of the title by the ever-amazing pencils of Yildiray Cinar. Spread thin across the cosmos by Saturn Queen's Legion of Super Villains, now's your chance to see how the Legion react with their backs to the wall - and a pre Fury of Firestorm Cinar in action! Jump. 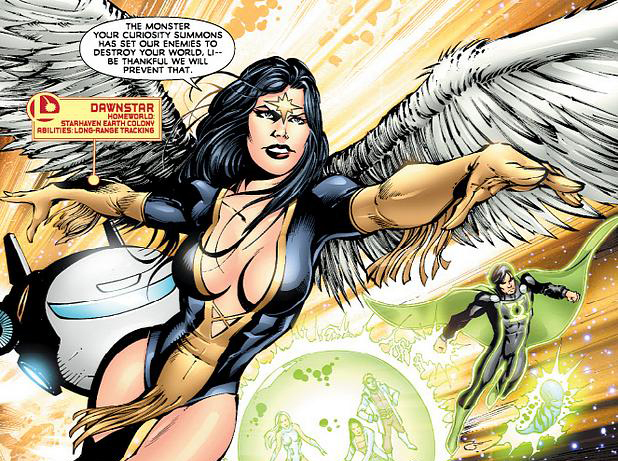 oh man Dawnstar looks so hot! I tell you Dave, Cinar will be the next Ivan Reis! I'm gonna miss Cinar. The book looks so pretty. Sigh. Not reading a preview though. Nu uh. Gonna be surprised. Waiting for that stack of comics to come over from my friend's house so I can glut myself on them. I do so love my Legion. I'm going to miss him too Random. His style has a wholesome 80's comics feel to it that really suits the Legion. No disrespect to Cinar by that - I think of the 80-'s as comics best era so it's one of the better compliments I can give! Looking forward to the new Legion Lost too!